Updated Tuesday March 24, 2015 by Alpharetta Youth Softball Association (AYSA). Travel softball is for the most dedicated softball players and their families. The expectations of players and coaches should exceed those of players and coaches found at the Recreational or All-Star level. There are additional practice requirements, and a higher level of financial expense associated with participation, and often an expectation of private coaching in addition to team practices. Alpharetta Fire travel teams playing out of North Park and affiliated with AYSA are well known for high quality play, focus on fundamentals, high caliber coaching, and commitment to player development. We seek to build complete players, students in the classroom, and members of the community. 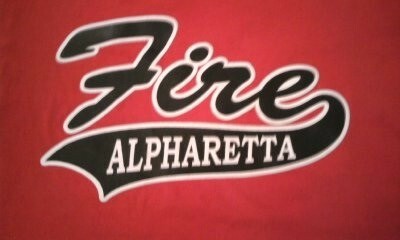 Participation on an Alpharetta Fire team is an honor. Individual Fire teams may periodically play at the "A" level in a given tournament, but the program is designed as a predominantly high "B" level program. Alpharetta Fire and AYSA are NOT affiliated with any independent travel organization.